Room Alert 4E is one of AVTECH’s cost effective and reliable hardware solutions for “IT & Facilities Environment Monitoring, Alerting & More”. Room Alert 4E has an internal temperature sensor and comes bundled with an external Digital Temperature Sensor. Add a digital sensor and switch sensor to expand monitored conditions. 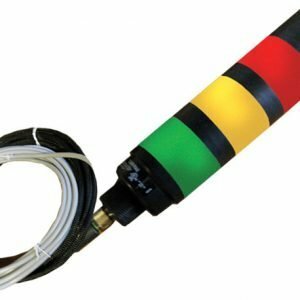 This model also supports a direct connection of a Light Tower w/Audio or Relay Switch Sensor and is the only model to allow this without using a Light Tower & Relay Adapter (LTA). Room Alert 4E is one of AVTECH’s hardware solutions for “IT & Facilities Environment Monitoring, Alerting & More”. 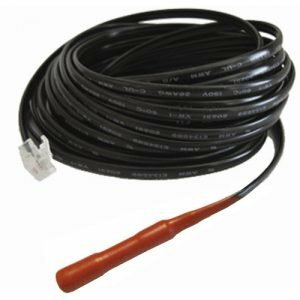 It is designed specifically to assist with computer room temperature and environment monitoring in multiple locations simultaneously. Room Alert 4E allows alert notifications via email, email-to-SMS, SNMP and more to devices like computers, mobile phones and mobile devices. Room Alert 4E offers an easy to use web browser interface for settings changes and viewing real-time temperature and sensor status from anywhere. Use the included wall mount bracket to mount the Room Alert 4E anywhere monitoring physical conditions is desired. 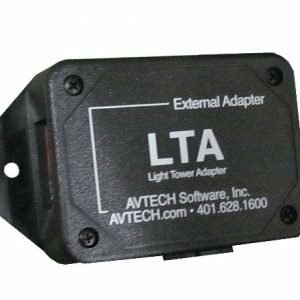 Includes 1 port for connection of AVTECH’s Light Tower w/Audio or Relay Switch Sensor. The Room Alert 4E package includes a license for AVTECH’s powerful Device ManageR application software, an advanced solution for the discovery, management, logging, graphing, advanced alerting and more of AVTECH’s IT & Facilities Environment Monitoring hardware. It runs as a Windows Service and automatically discovers AVTECH’s hardware units or Axis IP cameras across the network, allowing users to immediately be informed when environmental thresholds are passed. Device ManageR’s web browser interface allows users to view and manage any or all units on their network, graph and log sensor data in real-time or over a specified date range, send out alerts if an issue or event arises, and much more. Plugins are optionally available for Windows/Linux shutdown, reboot and/or log off; dial out via GSM, text or voice modems; advanced reporting, and more. New “dashboard” capabilities allow users to create the interface they desire, for their unique needs. 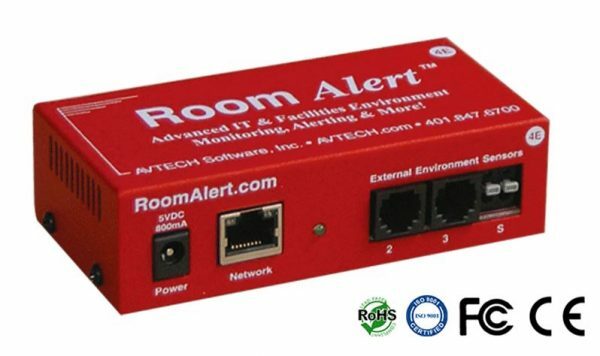 Room Alert 4E can easily monitor environments such as phone or wiring closets, critical rack cabinets and larger computer rooms or data centers and more. Since Room Alert 4E is connected via Ethernet and does not require a host PC for operation, it can be located anywhere an Ethernet connection is available. 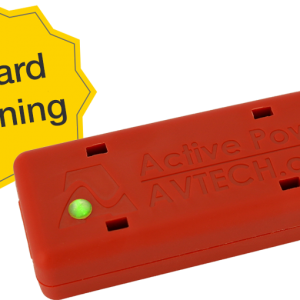 Power over Ethernet (PoE) is possible with AVTECH’s PoE Splitter (5V). Sensors can be run inside a rack cabinet, air vent, sub floor or other location. Room Alert 4E will help to protect valuable IT equipment and minimize downtime if a disaster should occur. It can also be used to manage utility use by monitoring power consumption, allowing possibilities to reduce energy costs. Room Alert 4E can also be easily used in non-technology environments like residential and commercial buildings, restaurants, warehouses, green houses and more. The possibilities for use are endless.